Just how many ways are left to differentiate one hotel brand from another? If you're Portal A working for Kimpton Hotels, there are plenty including, well, a talking yoga mat...free in every room! In this two minute video created by Portal A, we are introduced to Mat thr talking yoga mat who is here to make Sherry's dismal day a whole lot better. Mat pulls Sherry away from her work and takes her off on a bike ride, a trip to the pool, a massage and a nice dinner. Sadly, Sherry doesn't respond to Mat's final plea for some action. Animals, animal, animals. 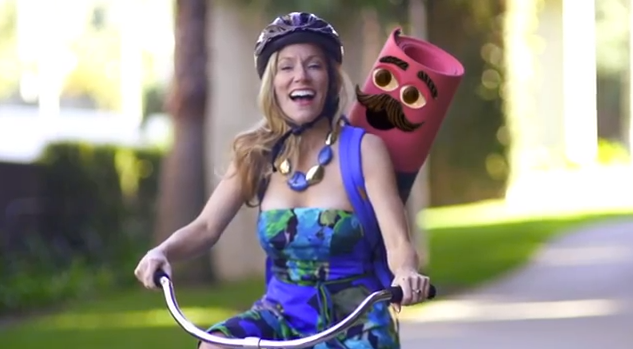 Much like babies, the use of animals almost guarantees your commercial will be a success. Not that that's what Goodby, Silverstein & Partners was going for when it brought back Sully the talking sheep for a new series of commercials. Oh wait, of course they were. Sequels, people, sequels! Why bother with something new when a rehash will do? Of course, this work is much more than a rehash. 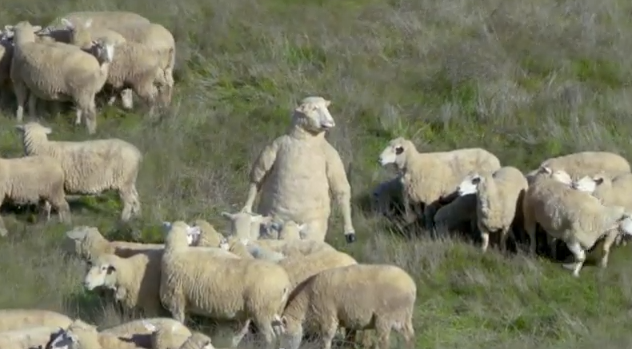 Our sheep, Sully, gets to walk upright, Ditch the Herd and have a whole lot of fun with his newfound human friends. Check out the series of four :15s below. Ever feel like you are a slave to your partner? Like the only purpose in your life is to take orders and serve? And every day you function as a punching bag for your spouse's nasty remarks? Well if that's the case, it's probably time for a little marriage counseling. And that's the very message in this Red Pepper-created Russian commercial which appears to be a PSA for marriage counseling. That or a funny spoof. Either way, it's worth a watch. 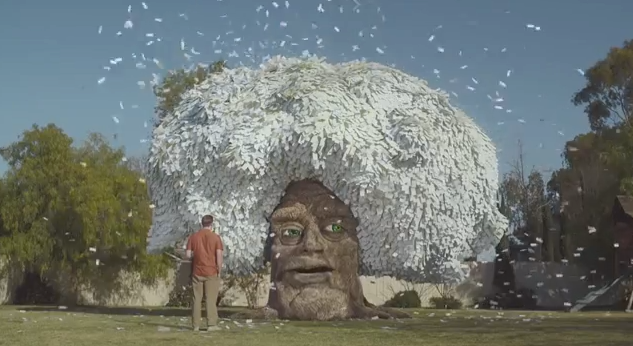 StubHub is back with its full on wackiness courtesy of Ticket Oak, that crazy tree filled with ticket stubs. In the new ad, created by D/C and shot by Biscuit Filmworks, Ticket Oak has a few too many Lattes and can't help buy spew out event ideas for the weekend. Really nothing else to say other than watch it. Good stuff. This Brazilian Dove Men + Care Shampoo from Ogilvy & Mather puts a spin on the whole slo-mo lustrous hair thing we so often see in women's shampoo commercials. 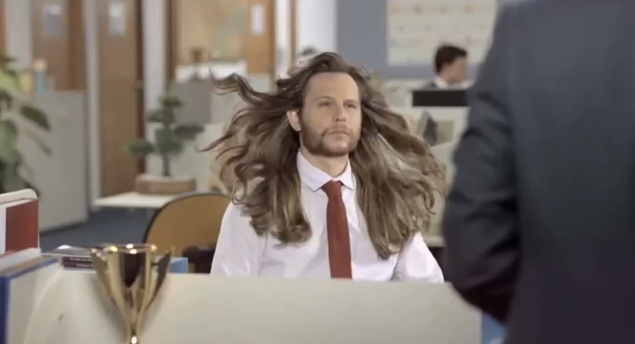 In the ad, some poor guy has used women's shampoo and it's giving him that "women's hair commercial" thing. 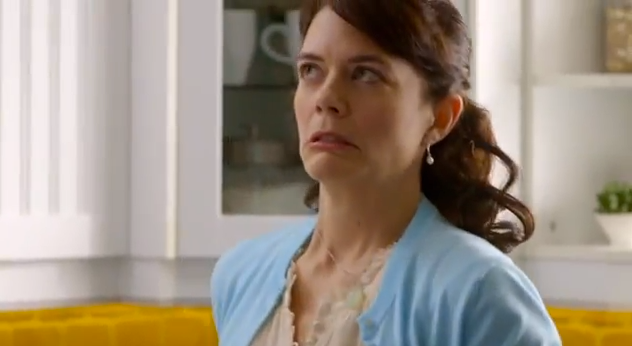 The ad brilliantly highlights every last flip, twist and cranial maneuver seen in many women's shampoo commercials. Even as the man races home to wash his hair with the right shampoo, we are treated to even mor slo mo "women's hair commercial" goodness. Damn! 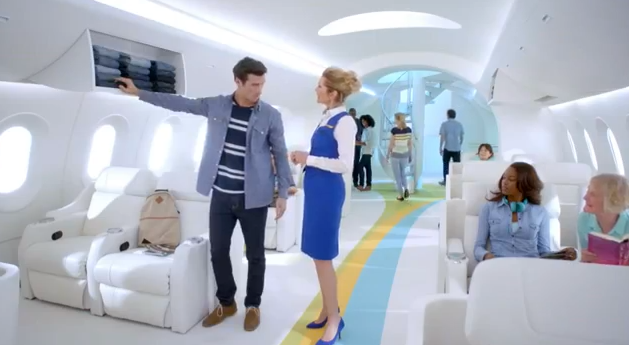 If only the inside of all airplanes looked like the inside of the airplane in this Old Navy Commercial! Starring Julie Hagerty, the soft-spoken actress of Airplane move fame, we see an airplane full of people seating themselves in what can only be described as the most stylish and spacious airplane interior ever seen. Love that swank cockpit too! Too bad Leslie Nielsen wasn't on hand as well. Oops. He's dead. My bad. 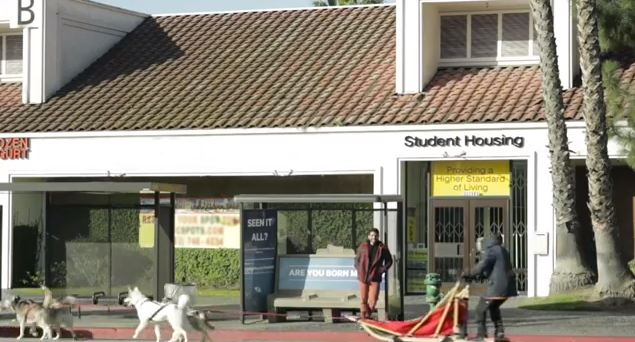 The ad, Now Boarding, was created by CP+B and debuted last night. Future spots in the campaign will also feature Mr. T, Boyz II, Rachel Leigh Cook and a few other surprise appearances. 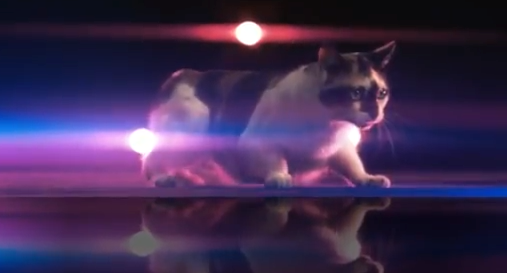 Litter Genie, with help from JWT New York, is out with its third music video featuring Walter who, along with his Lap Cats, invite you to groove to the sounds of Me Luvz Mahselfz. With nearly 2.5 million combined views for his previous music videos, I Haz A Catnip in Mah Head and I Haz a Pie Row Tek Nik, Walter's musical fame has grown beyond YouTube. As part of the promotion, people can tweet their own rap lyrics to @LitterGenieCat and one dollar will be donated to Best Friends Animal Society through February 17. Best lyrics in the new tune" "I'm on YouTube getting all kinds of views because people can't smell my poo."